Reviewing history in the military, the Air Force and triumphs and misadventures in airpower. On Nov. 9, 1961, during the first full-throttle flight of the X-15, Air Force Maj. Robert M. White became the first pilot to exceed Mach 6, attaining a top speed of 4,094 mph during a flight just under 8 minutes between Mud Lake, Nev., and Edwards Air Force Base, Calif. Likewise, the rocket-powered X-15 aircraft was the first airplane to exceed Mach 6. According to his L.A. Times obituary, White was also the first pilot to exceed Mach 4 and Mach 5 before his Nov. 9 test flight. At a 1962 ceremony on the White House South Lawn, President Kennedy presented what had been called the nation’s most treasured aviation award, the Robert J. Collier trophy, to White and three fellow X-15 pilots. 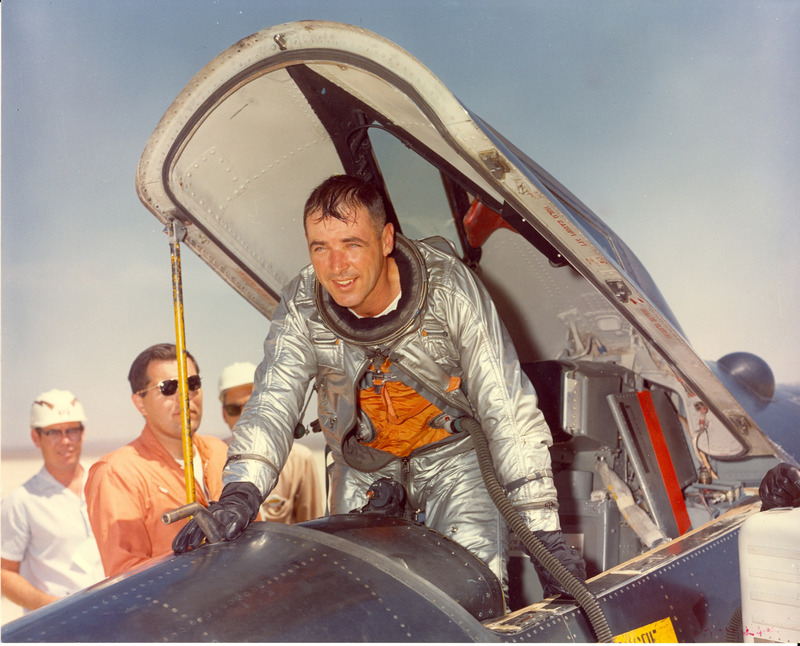 White was the first lead Air Force project pilot for the X-15 flight research program launched by NASA; he retired at the rank of major general. The X-15 was the forerunner of the space shuttle, whose first orbital flight was in 1981. In 2004, NASA’s X-43A scramjet-powered research vehicle reached Mach 9.8, or 7,000 mph, as it flew at about 110,000 feet. DARPA’s hypersonic glider sustained controlled flight at Mach 20 for three minutes before crashing into the ocean in 2011, Space.com reported. The name “Mach” comes from Ernst Mach, an Austrian physicist who pioneered the study of supersonic projectiles in the 19th century.